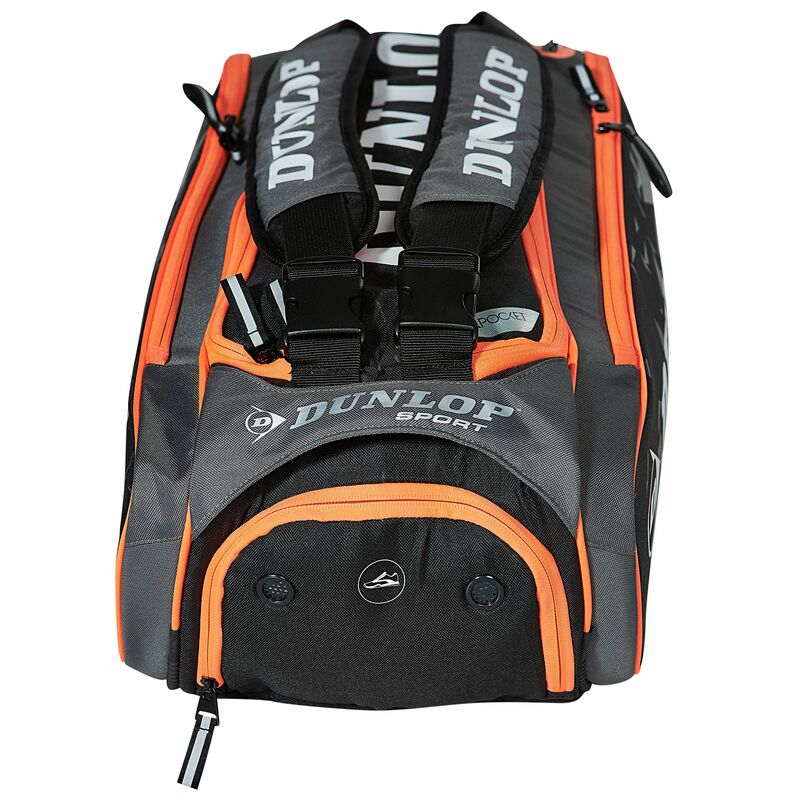 The Dunlop Performance 8 racket bag will hold up to 8 rackets or other items across its two large compartments. This quality racket bag has a number of other sections and compartments: a ventilated footwear pocket to keep shoes aired and away from other kit, a protective valuables pocket, two large accessory pockets and a spacious ventilated hydro pocket for wet or dirty items. Thermo protection in the lining helps to regulate the temperature of your rackets and keep their string tension accurate. The racquet bag has a carry handle and detachable and adjustable padded shoulder straps for ease of carrying. 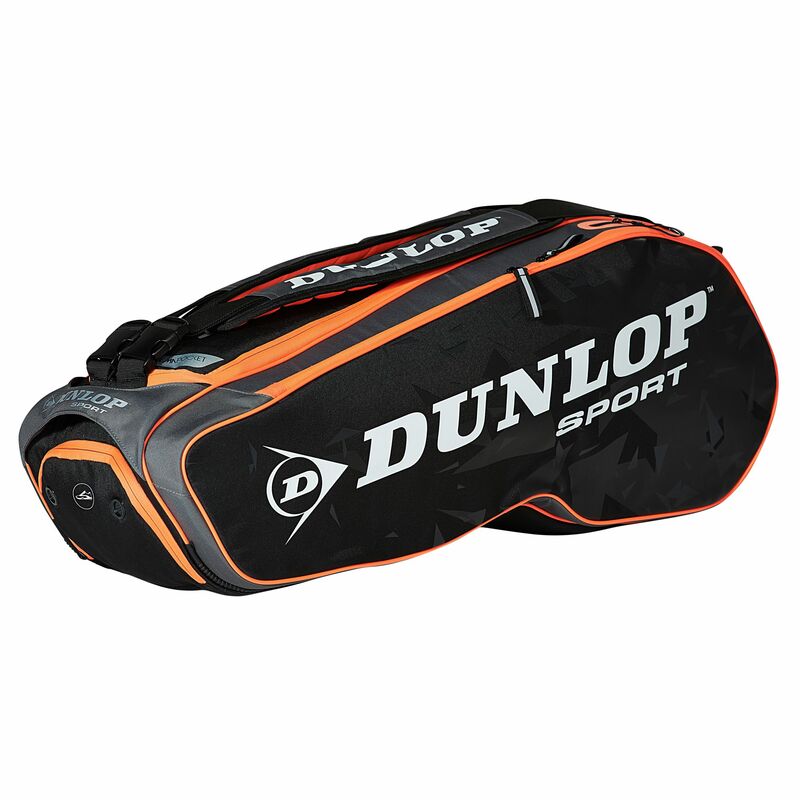 for submitting product review about Dunlop Performance 8 Racket Bag AW14.